Mike Blumenthal spotted that mobile searchers can now find a business using their mobile device on Google and add a review. In the past, adding detailed reviews on businesses within Google My Business was not possible on mobile devices, now it is. 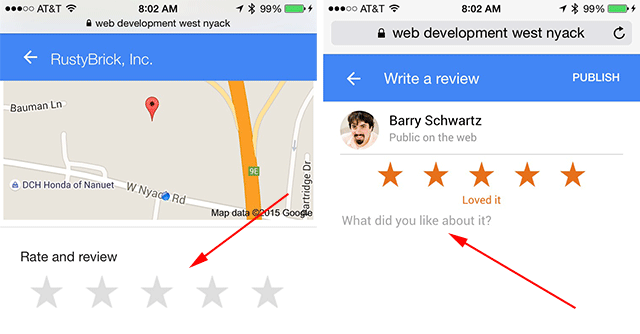 So now you may be able to expect even more reviews on your business listing.